Author: Highsmith, Patricia Set In . . .
Long out of print, this Highsmith classic resurfaces with a vengeance. The great revival of interest in Patricia Highsmith continues with the publication of this novel that will give dog owners nightmares for years to come. With an eerie simplicity of style, Highsmith turns our next-door neighbors into sadistic psychopaths, lying in wait among white picket fences and manicured lawns. 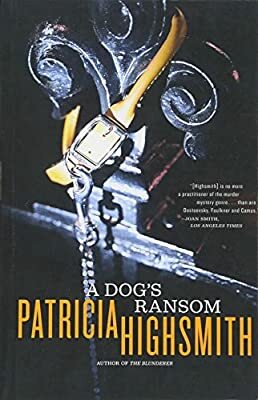 In A Dog's Ransom, Highsmith blends a savage humor with brilliant social satire in this dark tale of a highminded criminal who hits a wealthy Manhattan couple where it hurts the most when he kidnaps their beloved poodle. This work attesets to Highsmith's reputation as "the poet of apprehension" (Graham Greene).